2.1mm x 5.5mm DC extension cord for power adapter. 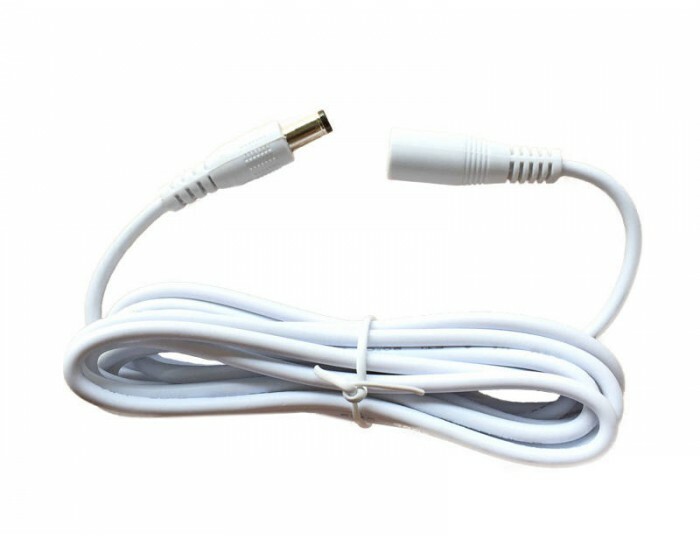 This cable will only work with power adapter with 2.1mm x 5.5mm plug and not other sizes. Extend your camera's regular DC power supply to up to 4 meters in total! This power supply extension cord works for all Foscam cameras running on 12-Volt power. This cable supports and is not limited to the following. Foscam models FI8919, FI8602W, FI8620, FI9801, FI9802, FI9804, FI9805, FI9803, FI9903 and FI9828 are supported as they are running on 12-Volt power.